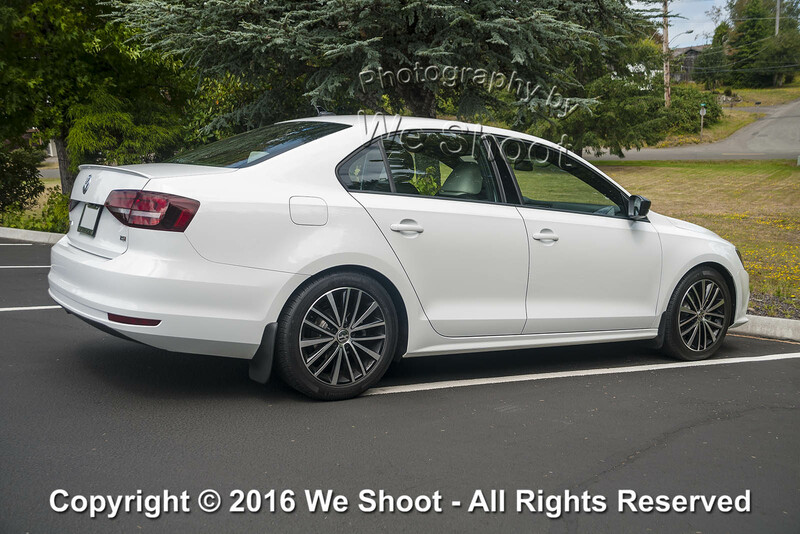 White 2016 VW Jetta Sport from right rear corner, showing standard dark tinted taillight lenses and rear deck spoiler. 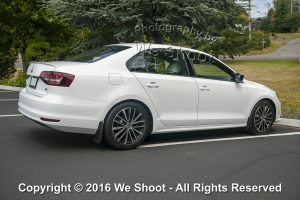 Seattle Automotive Photography by We Shoot. 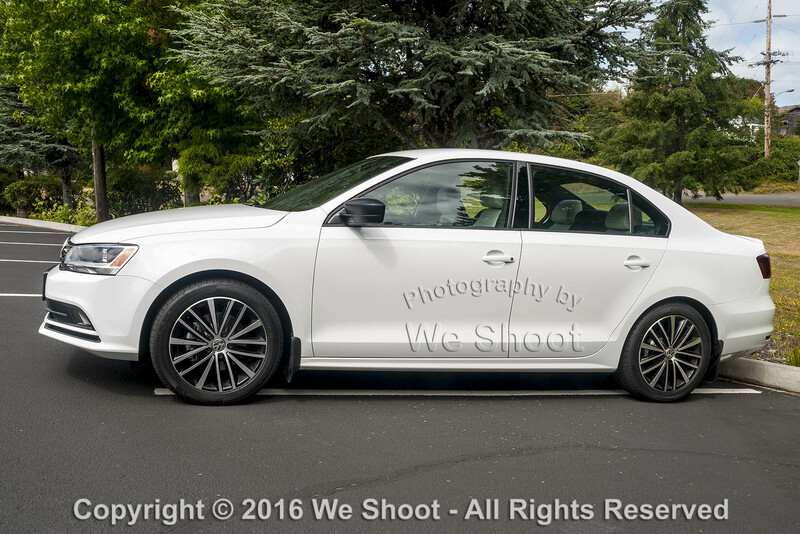 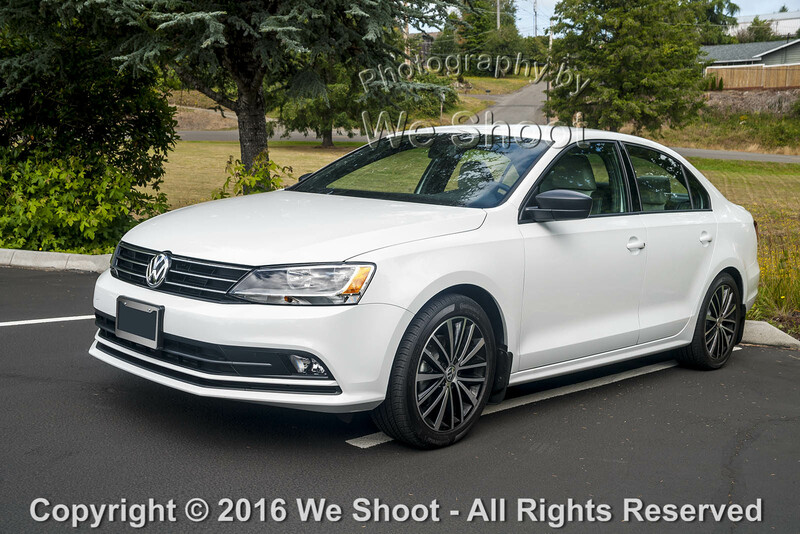 White 2016 VW Jetta Sport from front left corner. Seattle Commercial Photography by We Shoot.